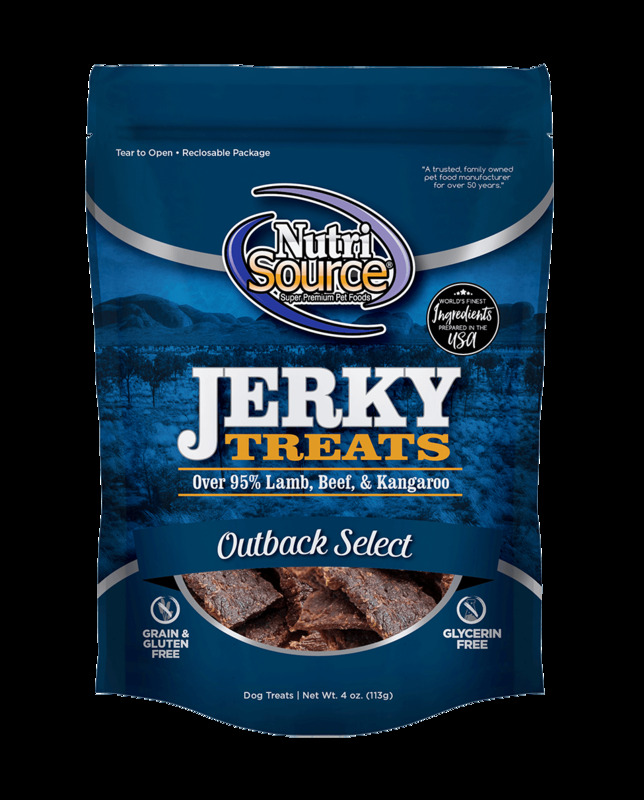 NutriSource® Outback Select Jerky provides a delicious and nutritious anytime treat for your furry friend. Featuring authentic Kangaroo from Australia along with delicious Beef and Lamb from the USA. that provides a “down under” outback taste your dog will crave. We also include Pumpkin which is naturally rich in fiber and Vitamin C and prepared in the USA. Show your love to your dog by treating them with Outback Select Jerky every day! Lamb, Beef, Kangaroo, Beef Broth, Sea Salt, Pumpkin, Organic Apple Cider Vinegar, Mixed Tocopherols (preservative).